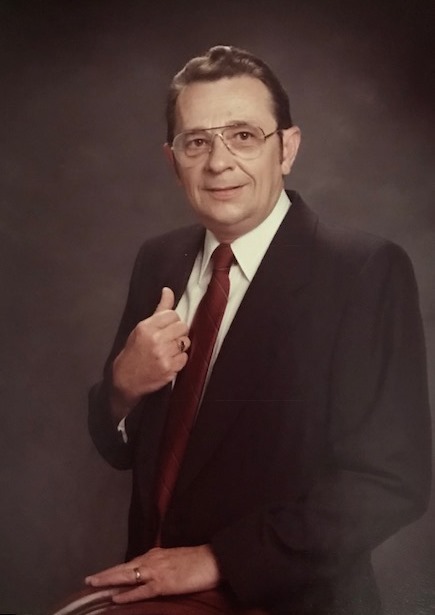 Donald Reed Cooper, age 85, of Lawrenceburg, TN passed away Saturday, August 18, 2018, at Vanderbilt University Medical Center in Nashville, TN. He was a native of Parkersburg, WV, retired Church of Christ Minister, and a member of Pulaski Street Church of Christ. He was preceded in death by his parents, Jesse R. and Sarah B. Eddy Cooper; his wife, Janet Jones Cooper; one sister, Doris Cooper; one brother, Denver E. Cooper; and one great-grandson, Jaxon Cooper Mays. Arrangements are being handled by Neal Funeral Home, 231 N. Military Avenue, Lawrenceburg, Tennessee and Grisell Funeral Home - Moundsville, 400 Jefferson Avenue, Moundsville, West Virginia. The family will receive friends from 5:00 PM to 8:00 PM Thursday, August 23, 2018, and from 9:30 AM to 10:30 AM Friday, August 24, 2018, at Hillview Terrace Church of Christ, 354 Middle Grave Creek Road, Moundsville, WV. Funeral services will be conducted at Hillview Terrace Church of Christ at 10:30 AM Friday, August 24, 2018, with Andy Robinson, David Kenney, Charles Pugh, and Bob Eddy officiating. Interment will follow at Evergreen North in Parkersburg, WV. Family suggests memorials be made to West Virginia School of Preaching, P.O. Box 785, Moundsville, WV 26041.